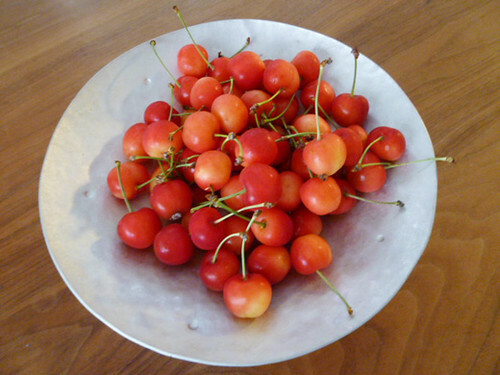 Cherry season begins in late June and runs into early July! The “Sato Nishiki” variety is the most popular in Japan. With their mild sweetness and acidity, they’re even more delicious to eat raw than in jam and pie. But the season is really short. It ends in a week or two. This fruit can only be tasted in Japan and there’s a lot of it, so try to taste it by all means! I’m getting hungry, it looks so good!